I’ve been asked several times how I found Tim Keefe, the trainer currently working with my two-year-old, Height of the Storm. To be frank, I didn’t know where to start. However I did know I wanted her to train at Laurel Park which is closer to my home so I could see her more often. Clovis and I had many conversations about what to look for in a trainer, but in the end it was my decision. 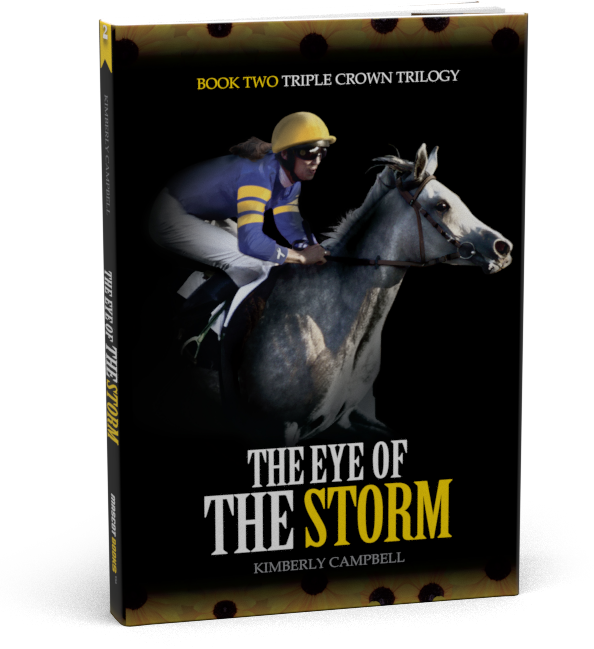 So a few months ago, I reached out to someone I had met while doing research for my second book, The Eye of the Storm, who was well connected within the Maryland racing industry. I asked for recommendations for trainers working at Laurel, with my one stipulation that they had to be open to me hanging around, asking questions, you know, being a pesky owner. I received a list of five names. A starting point. Now, you all know my life is not my own with three kids and businesses, which means my time is limited. So while waiting for practices to end, or meetings to start, I used the tool that we all use to find out about someone. Google. I searched for articles, Facebook pages, and Twitter accounts. Some had them, some didn’t. I went to the Maryland racing website to find out where they stood in the trainer rankings. I sent the list to Clovis to find out if he knew any of them. He provided me with his feedback, which generally was that they were all good candidates for different reasons. Once again, leaving it up to me. You see, I make decisions by consensus. I like to get a lot of opinions and advice, and information. Which also means, sometimes I don’t like being the one to make the final decision. What if I make the wrong one? Of the five on the list, I kept returning to Tim Keefe’s website, Timkeeferacing.com, and re-reading his bio. He graduated from the University of Maryland. A Terrapin, otherwise known as the Maryland Terps. I graduated from the University of Maryland. My son is going to attend the University of Maryland. 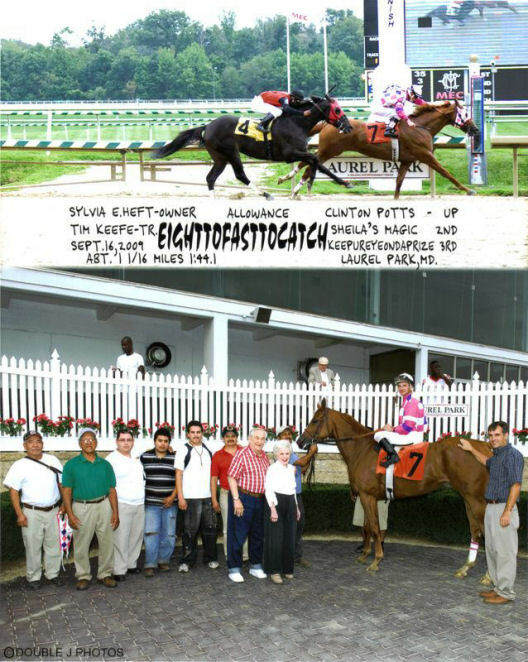 He had a partnership on his barn called Terp Racing, another group of Maryland graduates. Wasn’t this a sign, I thought. His bio finished up talking about his wife, who helped retrain Thoroughbreds for second careers, and they had four kids, similar to the ages of my three. A family man. His website also talked about the importance of second careers for thoroughbreds after they were done racing. My show horse Lilly is a second career thoroughbred. These were other signs for sure. I filled out the info on his contact us page and hit send. That very evening I received an email to give Tim a call the next day and his cell phone number. I got a little nervous. Had I made the right decision? I needed to reach out to the other trainers on the list to get comparisons, to make a knowledgeable decision. Did I mention, sometimes I am spontaneous and go with my gut? The long and short of it is I called Tim the next day and in a fit of excitement said I would be out to meet him the day after if that worked for him. He said that would be fine. I moved meetings and changed carpools and headed to Laurel Park to meet Tim in person. Sometimes my dream needs to take priority over work and kids, right? 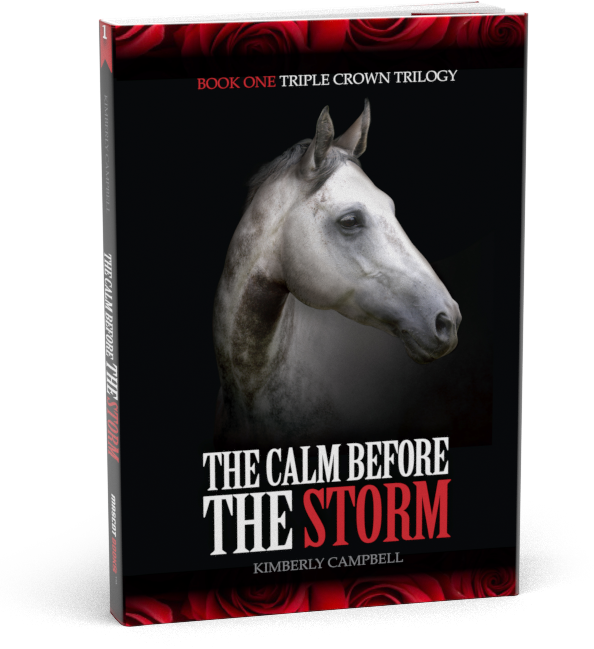 Tim and I spent over an hour talking about his program and my Storm, and more importantly, my one-horse dream of what I would love for her to achieve. He smiled and listened and didn’t think I was this crazy horse lady. He did make sure I knew that he does what is right for the horse, regardless of my dream, which I totally respect. We watched his horses gallop on the track, traded background stories, and talked about our kids. I thanked him for his time, and then asked when could he start working with Storm. I didn’t need to interview anyone else. I found my trainer. Stay tuned for my follow up blog on Tim’s million dollar winner, Eighttofasttocatch.